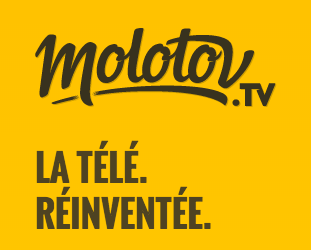 French OTT TV service Molotov is looking for a buyer, according to local reports, with Orange potentially in the frame to step in. According to business news service BFMTV, citing unnamed sources, Orange and other telcos are circling Molotov for a potential bid, following the failure of talks between the OTT service and the trio of broadcasters lined up to launch Salto. Libération reported in June that France Télévisions, TF1 and M6 had looked into buying Molotov as a quick fix to enable them to launch Salto, their planned joint ‘French Hulu’ service, quickly. According to the paper, the trio balked at Molotov’s demand for €100 million, despite never having turned a profit. France Télévisions, TF1 and M6 have together committed to invest €45 million in Salto. Molotov, which is 39.93% owned by former Allociné chief Jean-David Blanc and is also backed by former Canal+ chief Pierre Lescure, former TF1 executive Jean-March Denoual and Kevin Kuipers, had initially sought to raise new funding to the tune of €50 million, before deciding that a sale offered the best way forward, according to the reports. According to La Lettre de L’Expansion, Molotov has signed up former Vivendi chief Jean-Marie Messier’s investment bank to seek a buyer. Orange has previously used Messier as an intermediary for the sale of Dailymotion and the abortive acquisition of Bouygues Telecom. Molotov, which claims 5.5 million users, has been in conflict with M6, which refused to make its channels available free-to-view on Molotov.